As an outreach of one of the Philadelphia city churches, Mrs. Lovey Martin, a Bible worker employed by the East Pennsylvania Conference of Seventh-day Adventist, opened her home on Cameron Road in Willow Grove for Sabbath services. Later, her group joined with the Hatboro members. In 1926, the formal organization of the Hatboro Seventh-Day Adventist Church, later to become The Seventh-Day Adventist Church of Bucks County, took place in the home of Albin Conrads on County Line Road. In 1929, having outgrown several meeting places, the Hatboro Church laid the corner stone for a new church. The first pastor of the church on York Road was W. A. Nelson. By 1950 there was a need for a larger building and further expansion. 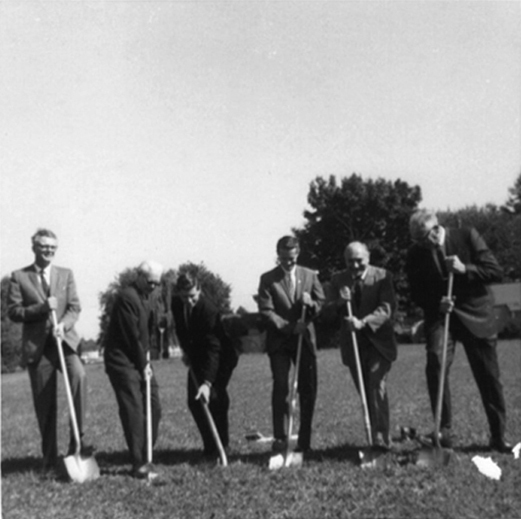 On May 1, 1971, after 17 years of planning and construction, the church's dream was fulfilled with the first meeting in the completed church facility. Today, the Bucks County Church is still growing and sharing the love of Jesus.